Former secretary of state and Democratic presidential hopeful Hillary Clinton will travel to Chicago next week to hold a get-out-the-vote rally and a fundraising event in the lead up to Illinois’ March 15 primary, but for those looking to attend her fundraiser, it likely won't be cheap. 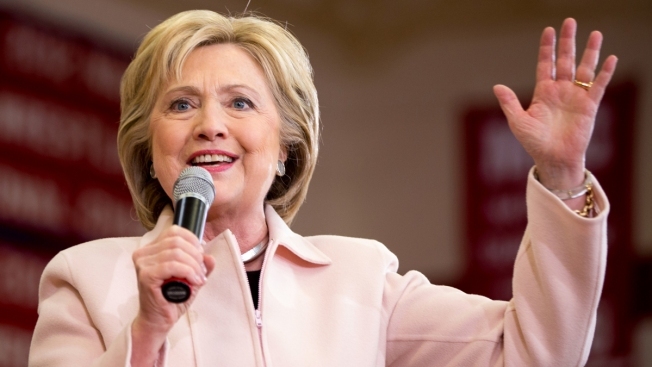 Clinton will attend a “host reception” with donors who have raised $27,000 for her campaign. These donors will also be given a spot on the Hillary for America Finance Committee. The event will be hosted by Brandy Isaac, Dania Leemputte, Amalia Mahoney, Joan Sears and Julie Smolywansky. It will be co-hosted by Katrina Markoff and Jason Scher. Co-hosts who raise $10,000 will be invited to the “host reception” while donors who have raised $2,700 will have the chance for a photo-op with Clinton. Donors who give $1,000 will be entitled to preferred viewing for the event and donors of $250 will be offered general viewing. $125 seats are also available for young professionals. “Clinton has spent her entire life taking on the toughest fights on behalf of families and children, and she will keep American families safe and has a plan to create shared prosperity,” a release from the Clinton camp said. Clinton was born in Chicago and raised in Park Ridge. Despite the local ties, she received only 33 percent of votes and 49 delegates when she lost to President Barack Obama in the state’s 2008 Democratic presidential primary. She will also use her trip to encourage supporters to take advantage of early voting, which takes place February 29-March 14 in the state. She will be joined by Geneva Reed-Veal, the mother of Sandra Bland. Bland, of Naperville, was found hanged in a cell in Waller County, Texas after a dispute with a state trooper regarding a minor traffic violation. Her death was classified as a suicide although many suspected foul play. Clinton is in a heated battle with Vermont Sen. Bernie Sanders for the Democratic nomination for the presidency. Clinton narrowly won the Iowa Caucus but lost to Sanders by a wide margin in Tuesday’s New Hampshire primary.